Guess why I'm happy today. The initiative that admittedly started as a non-serious affair on Mar 19, 2009, has reached a new milestone. This is the "300th Daily Tip" on this site. When I started, I had about 30-odd bookmarks in my kitty. But the passion to keep the initiative going kept me on my toes, scavenging the web for more and more useful resources everyday. I think I've learned more through this initiative than anyone else, simply because I've read through each of the 300 posts, which I doubt anyone else has done. Honestly speaking, I've surprised myself by carrying this on for this long. The only thing that has kept me going is your appreciation and support. I want to take this opportunity to thank all the readers of this blog. Getting on with the business now, today I'm starting a new series of links. These are links to chapters from books on Books24x7 that are accessible free of cost to PMI Members. If you have been reading my article, and have come to develop any level of trust in me, then take this information very seriously. 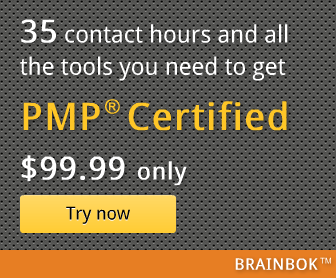 These links point to top quality material, which I've hand-picked, and is guaranteed to help you not just for the PMP exam, but in real-life Project Management too. Without further ado, here we go. Today's link is to a chapter on Motivation Theories from a book written by Vijay Verma, MBA, PMP. Vijay Verma has written several great books in the field of Human Resource Management. He is also an active contributor to the PMBOK Guide, and you can find several credits to him in the PMBOK Guide, Fourth Edition. The chapter also contains information on the McClelland's Theory, which is an important topic for the PMP exam, but not covered well in most exam prep guides. In future, simply click the label "Books24x7" in the side bar to get to all the links in this series. Note: As I mentioned above, you need to be a PMI Member in order to access the link.